Winter's slower pace allows time for chores that just couldn't be done during the frenzy of the growing season. In this issue, we'll cover three projects that will help recharge your batteries and make your farm more efficient next year. Autumn is a good time to sit down with your records and analyze your successes and failures, while the past season is fresh in your mind. Then, when the new seed catalogs begin to arrive, you'll be better prepared to analyze new varieties and crops in the context of what worked and what didn't on your farm. So gather up your records, in whatever form you have kept them, and go through each crop from A to Z. A good place to start is with your seed orders, which you should have either on paper (such as packing slips) or in a spreadsheet. If you haven't yet created a spreadsheet for your crop records, this is a good time to do it. Even the most basic data collection can benefit from the sorting capability of programs like Excel and Numbers. Your assessment also should include a field for notes, which can include personal preference and observations, such as "a real pain to pick" or "the sweetest I have ever tasted." If your record keeping also includes labor and other input costs, you can go deeper into financial analysis of each crop. In his book, The Organic Farmer's Business Handbook, vegetable farmer Richard Wiswall offers detailed advice on how to capture and use information about your costs of production. One of the most helpful features a spreadsheet offers for your crop assessment is the checkbox. You can add columns with checkboxes for anything you want to know at a glance: For example, you could have a column that says "Reorder same amount"; another labeled "Try a different variety"; another that says "Grow more" and so on. Once you have checked the appropriate boxes for each crop, you can sort by each column to create a comprehensive picture of the crops that worked well and those that need some tweaking. 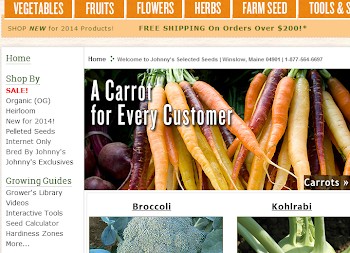 You can also sort by multiple fields to create useful lists, such as all the seeds you want to reorder from Johnny's. The beauty of keeping records in a spreadsheet program is that you can keep expanding it. As you add more data, you'll think of even more ways to use it to make your farm more profitable. For most crops, what happens after harvest is just as important, or even more so, than how they are grown. Postharvest handling, packing, cooling, and transportation have a big effect on the quality of your produce when it reaches the consumer. On the farm, good postharvest facilities can dramatically improve speed, efficiency, health, safety, and employee morale. We're not kidding; your packing shed really is important. Ergonomics: Workstation heights should suit the workers. According to the Healthy Farmers, Healthy Profits Project at the University of Wisconsin, the most efficient work table height is halfway between wrist and elbow, measured when the arm is held down at the worker's side. For heavier items, it is slightly lower. Work flow: The most efficient layout for the packing shed avoids extra steps and crossed paths. It also moves produce in the direction of the worker's leading hand (left to right for right-handed people). The Healthy Farmers project suggests these considerations when designing the work flow: Do all crops need to be washed? Do some need to be sprayed and others to be dunked? Could you run side-by-side task lines into a shared workstation where boxes are packed? Or circular work stations that intersect at the shared workstation. Could you use some sections of roller table? Water: Wash water must be potable (safe to drink). The Good Agricultural Practices (GAPs) standards for produce farms recommend dunking produce for one to two minutes in water chlorinated with 50-200 ppm chlorine in order to kill pathogens. So far, that's just a recommendation designed to improve food safety, but growers trying to get GAPs-certified may be required to use disinfectant in wash water. For more information about using chlorine in wash water, see this University of California-Davis publication. Organic rules also address the issue of wash water, stating that the final rinse water must not have more than 4 ppm residual chlorine, measured downstream of the product wash. This rule seems to conflict with the GAPs recommendation. To clear up the confusion, USDA's National Organic Program office has just released a draft proposal that suggests higher levels of chlorine are acceptable, as long as a final rinse meets the 4 ppm standard. NOP is accepting comments on the proposal until Dec. 13; a final rule will be released later, so certified-organic growers are urged to ask their certification agency once the issue is resolved. Read more about packing sheds in Growing for Market. 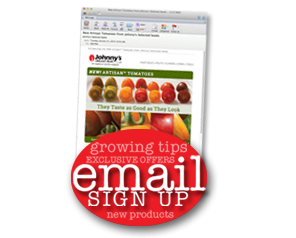 The Healthy Farmers, Healthy Profits Project at the University of Wisconsin has numerous tip sheets that can help you create a more efficient postharvest workspace. The place where you store tools and supplies is probably the least glamorous part of your farm, but getting it organized can save time and money during the busy season. Going for a tool and finding it missing is both frustrating and time wasting. If you have more than one person working on your farm, you need a clearly designated place for tools and a rule that every tool gets put away when its work is done. One of the best systems for organizing tools is a wall covered with pegboards, either the common wood pegboard or newer metal pegboards. You will find a huge assortment of hardware to hold everything imaginable on your pegboard. Some people label the pegboard or even draw tool outlines so they can tell at a glance where a tool belongs. Besides the obvious hooks for tools such as hoes and spades, you can add small baskets to hold the stuff you often need when working with those tools. For example, hang a knife on the pegboard and a bucket beneath it and you're more likely to scrape the soil off a tool before you hang it up. Or put a sharpening stone next to a hoe, so you won't forget to touch up the blade before you take it outside. Plastic buckets are a free solution to the problem of where to store all the little pieces, such as connectors for drip irrigation, hose nozzles, greenhouse repair tape, screws, gloves, and so forth. Get a permanent nursery marker and write the contents of the bucket on the side so you don't have to waste time rooting around looking for things. Big plastic totes with sealing lids to keep out rodents and insects are essential for protecting food-contact items such as plastic bags and twist-ties. They can also be used for pest control products and fertilizers that need to be protected from moisture. However, if you have young children around the farm, you should get a locking cabinet for pest controls and other toxic materials. If your shed is a cluttered, unpleasant space, figure out what you can do to make it more inviting. Lighting is important. If you don't have good daylight in your structure, or if you work at night, you need ample lights. ATTRA has a recently updated publication on farm lighting that will help you choose the most energy-efficient fixtures for the job. A heater, fan, radio, doormats: these are all items that will make you want to linger long enough to keep your tools and supplies clean and ready for the next job.